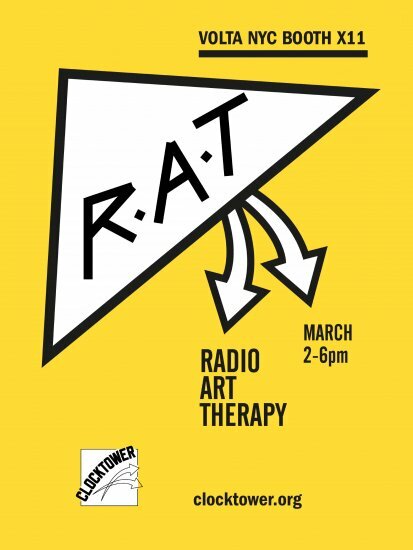 Radio Art Therapy (R.A.T.) 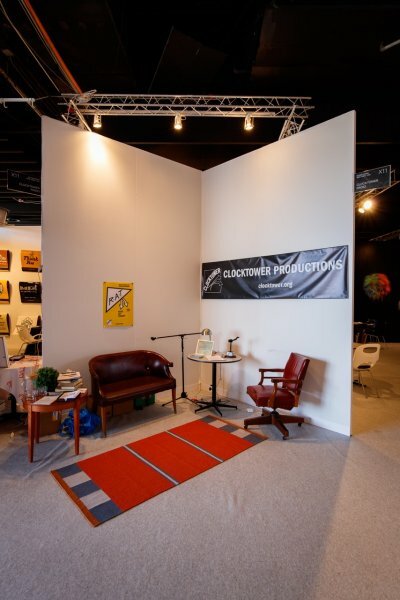 is about the fine art of asking perceptive questions and Clocktower transformed its VOLTA 2016 booth into a stage-set therapy office, where artists, curators, and visitors took a break from the fair's madness to lie down on the couch for a brief session, venting their emotions, frustrations, and joys; contemplating the universe; and processing the ongoing art complex. 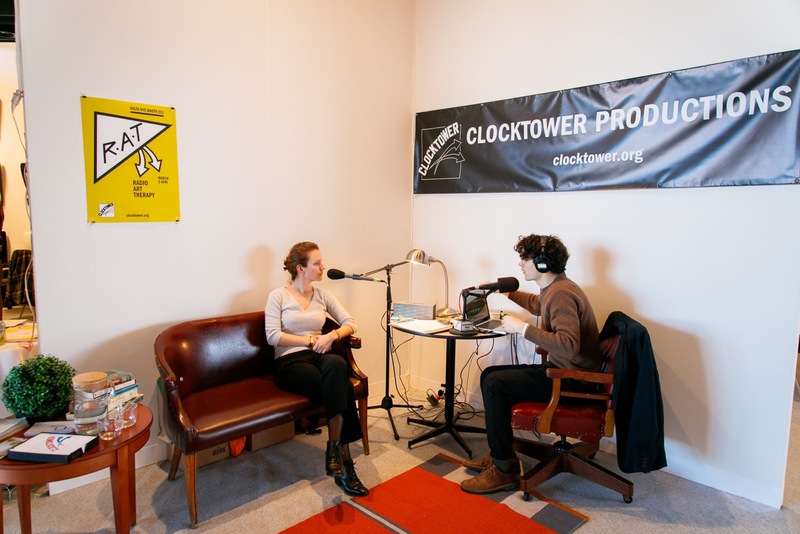 Clocktower staffers Joe Ahearn, Mia Wendel-DiLallo, Jake Nussbaum, Lani Combier-Kapel, and Ethan Primason—following intensive sensitivity training—conducted the interviews. 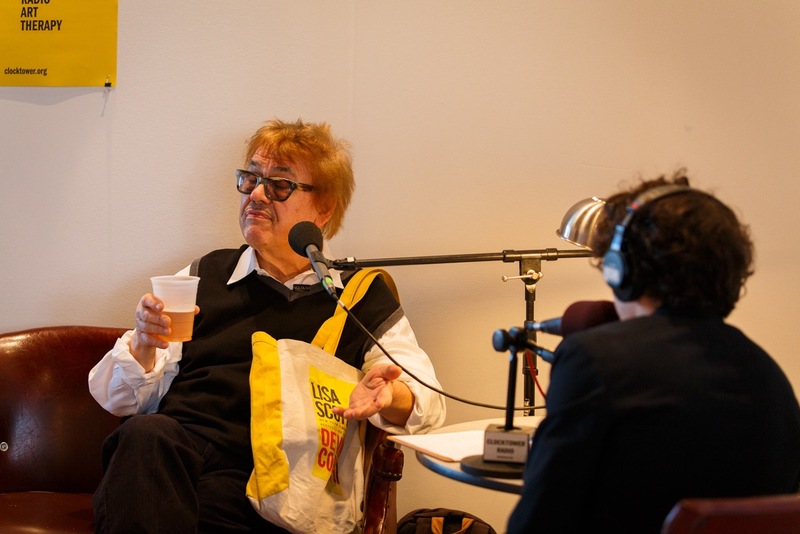 VOLTA NY is the invitational fair of solo artist projects and is the American incarnation of the original Basel VOLTA show, which was founded in 2005 by three art dealers as a fair "by galleries, for galleries".